New Zealand resident and author Sharlene Almond brings us INITIATED TO KILL, the first instalment in her new series that blends aspects of history with a modern day twist. In this first outing, two men from different generations are initiated into a powerful organization that has sought control of the world and uses their power for destructive ends. The Big Thrill recently caught up with Sharlene to learn more about this series and her plans for the future. Tell us a little about INITIATED TO KILL. 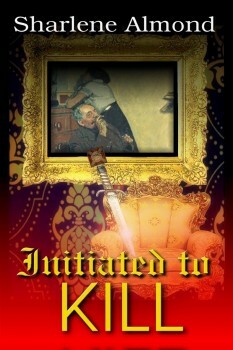 INITIATED TO KILL is the first in the Annabella Cordova series. All of the books in the series have a part-historical, part-present day focus. In this story, Annabella Cordova quickly becomes embroiled in a conspiracy involving the university she studies at. When her roommate goes missing, it becomes very personal. Her past gradually unveils, as she is closer to this than she could have possibly imagined. A childhood accident causing permanent deafness enables Annabella to use her other senses to read facial and body language, and detecting lies in people, including suspects. What first inspired you to write tales involving history and modern-day crime? When I was younger, I had a little notebook in which I would jot down ideas of things one day I would like to write about. One sentence caught my eye one day, and I was determined to get a story from it. A story involving a university and the occult. From there other ideas started to form. Places, names, and characters began to come to life. My inspiration for the historical aspect of my novels came by accident. When finishing writing my first novel and starting to edit it, I stumbled across a conspiracy theory, in which some believed the Freemasons were involved in the Jack the Ripper murders. From there, the historical aspect took shape, continuing throughout all the novels I write. I have only read a couple of books that follow that sort of concept. I was determined to write something unique to me, unique to the ‘thriller’ world, which is why this concept seemed perfect. History has always fascinated me, so many things that have happened in the past still affect us. Things that we think we know, things that are kept hidden. I want to unveil it, learn more about what shapes us. 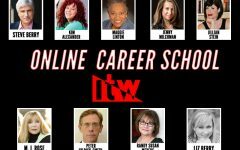 How do you go about researching and choosing the right historical setting to write about? It’s all based on the location. I pick a location that pops out at me, something that fits my main character in the present day. I don’t just want a mundane place or something that has already been done. I wanted a location that really holds meaning. Once I’ve fixed my sights on the perfect location, the next element is to dig deeper. From there, I research what has happened in the past for that country. A myth, a crime, something exciting, violent that happened in that country. Each and every time, without fail, the historical aspect just pops out at me. Research always takes place at the start, so I know what kind of direction I want to go with it. When writing the book, I constantly go back and research the culture, the people, the food, everything to make it as authentic as possible. Images are particularly useful, as I can see them through my own eyes. Well, I have written three other books. I am soon going to approach a publisher about my second book. My second novel is based on Countess Elizabeth Bathory, the first female serial killer in history; while the present day aspect, young girls going missing in Transylviana, Romania. Annabella has been manipulated into joining an organization that has slightly different methods of extracting the truth. The myth behind this story is, who really influenced the character, Count Dracula? I examine this concept through the tale of two people, Vlad Drakul, and Elizabeth Bathory. Both kill for pleasure, but only one really fits the myth. My third novel is based around the suicide of seventy Jews in Masada, in 70 AD; why did they do it? And how are bodies found in Egypt in 2018 connected? While the fourth one has been my biggest undertaking yet, the bubonic plague. How it started, the path it travelled; seeing the devastation through the eyes of different characters throughout its journey. Jumping forward in time to 2020, where Annabella Cordova must again face this terrible man-made plague. 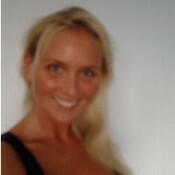 To learn more about Sharlene, please visit her website. George Ebey is the author of Broken Clock, Dimensions: Tales of Suspense, The Red Bag, and Widowfield. He is a graduate of Kent State University with a bachelor's degree in Criminal Justice and a minor in writing. He lives with his wife, Gail, in Northeast Ohio.